If you think about it, it’s actually quite rare for a high profile boxing match to live up to the hype and expectation that precedes it. For weeks, months, years even, we wait for the first bell, only to be disappointed when the action gets under way. I’m as guilty as anyone of being suckered in by the likes of HBO’s 24/7 or Showtime’s All Access, paying my hard earned cash over to Sky for the related Pay Per View and then reflecting after a few hours as to why I bothered. Sometimes you get lucky and Sky puts it on a regular Sports channel, but more often than not, it’s your monthly subscription plus some. 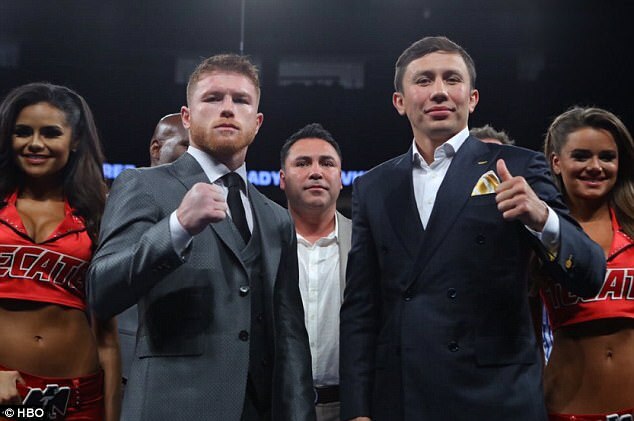 Saúl ‘Canelo’ Álvarez vs. Gennady Golovkin in September 2017 was a notable exception. The fight had been in the pipeline for about two years and was for the unified Middleweight crown. As with most of these Superfights it took place in Las Vegas. Álvarez, from Mexico, entered the contest with a 49-1-1 record (his only defeat coming against a certain Floyd Mayweather Jr in 2013). Golovkin, from Kazakhstan, had a perfect 37-0 record. Looking at those records you may naturally assume Álvarez is the older man, but he is still only 28, with his first professional fight some thirteen years ago – yep, he was 15. He actually started his professional career a year before Golovkin (who, by the way is now 36 years old) but by that time, ‘GGG’ as he is fondly known, had racked up an amateur record of 345-5, a fantastic career which included World Amateur Gold in 2003 and an Olympic Silver the year after. Although Golovkin looked to be well ahead at the 3/4 mark of an excellent fight, Álvarez rallied and made it close by the end. Although the majority of observers still thought GGG had done enough, the official scorecards told a different story. Yes Ladies & Gentlemen, yet again we had controversy at the end of a fight. It ended up being a split draw with Judge Adalaide Byrd being vilified in the aftermath for scoring it 118-110 to Álvarez, an incomprehensible margin of victory to pretty much everyone. So, what did that draw mean? Simple – a rematch. When you take over US$27m at the gate and there’s another 1.3m pay per views in the US alone, PLUS there is unfinished business, it’s a no-brainer. Of course, this is boxing, so the path hasn’t been smooth. The rematch was originally scheduled for May, before Álvarez tested positive for the banned substance clenbuterol – he received a six month ban, which ended in August. Cycling fans among you may recognise his defence (he argued it was the result of contaminated meat like Alberto Contador). Despite the ban throwing a spanner in the works, Golovkin fought on the original date and disposed of Vanes Martirosyan in two rounds. But after all that, 52 weeks have passed since the first encounter and the rematch is almost upon us – go back and watch it again or for the first time, then you can pay those hard earned dollars this Sunday afternoon. Get a group of you together, split the cost, or maybe you’ll be lucky and the local pub/club is showing it. Go on – I reckon you won’t regret it.